Making a batch of old fashioned, southern ham salad is one of my favorite ways to use up leftover ham after the holidays. It's also referred to as deviled ham since the consistency is like that of a spread. You know, perfect for using as a sandwich spread or to serve with butter crackers. This recipe only requires three ingredients and takes me straight back to childhood. It's rich, so we make it just 2 times a year when we cook a ham at Easter & Christmas — but that lends to the feeling of what a treat it is! Note: the portioning of each ingredient will vary depending on your personal taste and preferred consistency. For example, my mom loves her ham salad a bit creamier with extra mayo and relish, while I prefer mine a bit thicker and saltier. A good rule of thumb is, to begin with, 3/4 cup mayo for every two cups ham and go from there. Cut ham into large chunks and process through a meat grinder. 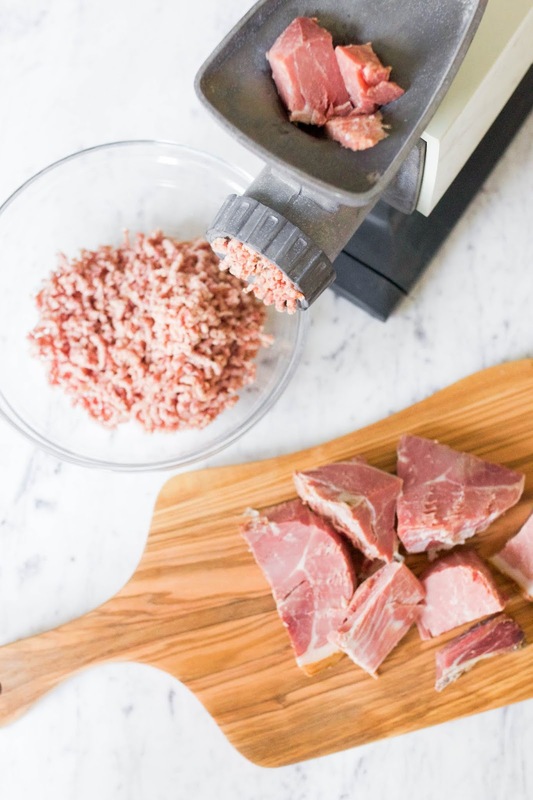 If you don't have a meat grinder, using the attachment on a stand mixer or even pulsing through a food processor until finely chopped will get you close to the same result. 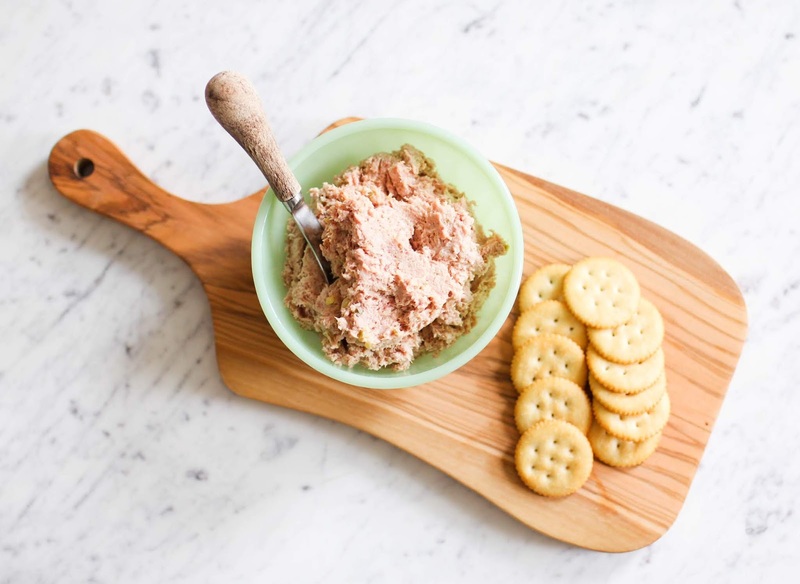 Using a large spoon or spatula, combine ingredients until well incorporated into a spread. 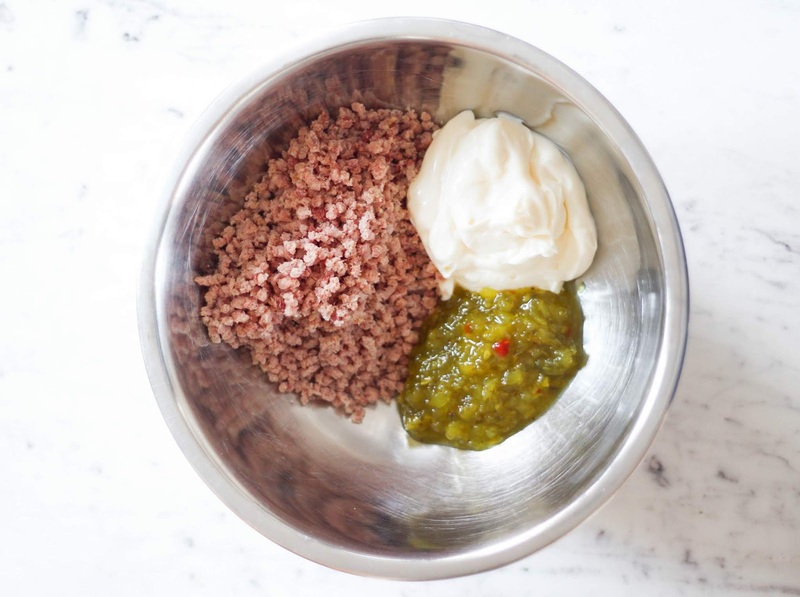 Taste and adjust mayo and relish until the salad reaches your desired consistency and flavor. The spread is good on sandwiches and dangerously good over buttery crackers. The combination of the salt from the ham, fat from the mayo and kick of sweetness from the relish make it impossible to have just a single cracker — I've tried! 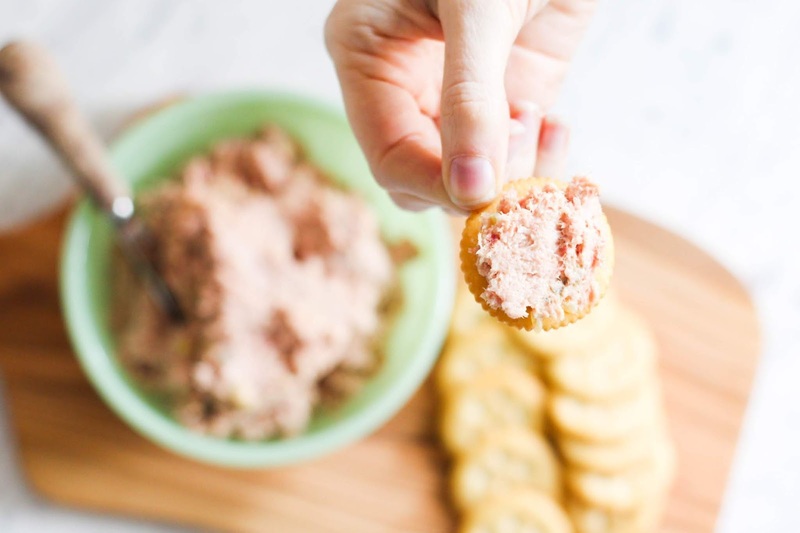 This ham salad is a southern favorite but also happens to be a gluten and keto friendly diet option when served over sliced cucumbers or inside lettuce wraps. Discover More: my go-to method for how to cook a whole country ham, and you can browse all of our recipe posts here.